Review: Cinder & Ella and Happily Ever After by Kelly Oram // My personal favourite contemporary retelling of Cinderella! Cinder and Ella had virtually met through Ella’s blog where she posts hilarious books and movie reviews. Cinder a.k.a Brian is a teenage heartthrob who longs for something real. Despite reading “not so awesome” comments about his acting skills in her blog, they strike up an unusual friendship. They also share their love for the Druid Prince Chronicles where Brain is actually playing the role of Cinder. Although they have never met, they share a lot of bond and harbour mutual feelings. However, before anything begins, Ella faces a big accident where she almost becomes a cripple. Losing her mother and sending to live with her dad and her step-family is a cherry on top. The only shining light in the darkness is Brain with whom she gets to reconnects with after a year. So… I fell in love with the story of Brian and Ella all over again. Ella’s pain and heartache all over made me ache for her again. Although Ella’s a pretty self-dependent person, her injury does not let feel that way. She is left nearly more than half burnt after the accident and hence is forced to live with her step-family. Mostly, the whole family starts up on the wrong foot which creates quite a few misunderstandings between the family members. But thing that I loved the most this duology is the relationship between the sisters. This relationship was particularly not rainbows and sunshine at first but I completely loved how it evolved as the series moved forward. However, the same cannot be said for the father. I mean… he tried to redeem himself but it just didn’t feel like he was trying 100%. I mean even if he did, he always said the wrong things at the wrong time and always questioned Ella instead of being just with her and supporting her. On the other hand, Brian was a complete sweetheart. He was patient, supportive and loved Ella with his whole heart. However, while reading this for the second time, I basically realised he had no flaw. Neither did Ella. Not much. So yeah, although these characters were outstanding but sometimes they just felt a little too bland. Although I could resonate with Ella a lot since I react pretty much the same way she does in certain situations. Despite these flaws, I enjoyed their relationship right from the very start. Brain definitely had me swooooning! Oh, I also enjoyed the complexity of the situation since they have been online friends forever but in real life, only for a few weeks. I definitely enjoyed how the author handled this situation and it didn’t feel rushed at all. I noticed one thing about the dad department in this book. Mostly, both of them were douches and didn’t live up to my expectations. Okay, although Ella’s father was a not a complete douche but he still was… I mean if you get what I mean. In the first book, we get a glimpse of the limelight that Brian is always in due to his career as an actor. This was especially highlighted in the sequel as well since we get to see its impact on Ella. Although there were vulnerable moments, I was so glad to see them fighting for each other along with sharing equal love and respect. Overall, Cinder & Ella and Happily Ever After were both an awesome read. It was a great duology with a filled with romance, comedy as well as heartwrenching emotions. This book made me laugh out loud on various occasions and even made me cry my eyes out. However, I am so glad I picked up this series, although it was on a whim. All the characters were uniquely distinguishable and I adored each and everyone (mostly) of them. This rhythm of this book was pretty steady and it followed a slowly yet simple writing style. Due to these certain factors, I was able to enjoy this series far more! So guys, have you duology this yet? Or any other book by this author? Heeeeeey guys! How are you all doing?? I started off slow this month and man oh man, the two out of three books that I read were a complete gem!! Muse of Nightmares was such an adventure filled ride whereas Verity blew away my mind! Whereas Leah on the Off Beat was a complete letdown on so many levels. I shared a post about 2018 bookish-life! In January’s Daydreaming Discussions, I talked about my most anticipated reads of 2019 and some of my throwbacks from last year as well! What’s wrong with Secretary Kim & Thirty but Seventeen: Hilariously awesome and a must watch! So guys, how have your months been? Bookishly awesome or meh? Been busy or just how’s life? Daydreaming Discussions: My Favourite reads of 2018 & Most-anticipated reads of 2019! I just realised out of the 20 books I listed as a must read I 2018, I have only read 5 of them (counting series as 1). *sighs* A tragic fail indeed. But I am 101% determined to complete this year’s list with a positive note. So without further ado, here goes!! Queens of Geek by Jen Wilde: This was my first read of 2018 and it was oh sooo full of fluffy goodness! Read Player One by Ernest Cline: I did not expect it to love it this much… but well it was different and so very exciting. Wolf by Wolf duology by Ryan Graudin: *sobs* I am still not over this duology. It had a kickass start and left me in pieces. 100% RECOMMEND IT!! I… should not suffer alone! Strange the Dreamer by Laini Taylor: Such a beautiful and mystical read. The flow of this book and world-building had me in awe. Gemina & Obsidio by Jay Kristoff and Amie Kaufman: Need I even say anything about this? Space fighting. Creepy aliens. Intergalactic sabotage plans. A mass murdering AI! What else does a book need! Books I can’t wait to jump into this year! The Cruel Prince by Holly Black: This has been in my tbr for soo long and the hype for book 2 is getting to me! Nimona by Noelle Stevenson: This book is super fun! One of my friends already has this, so I am planning to borrow it soon! Warcross duology by Marie Lu: I bought this in 2018 book fair. It’s still in my bookshelf. My friend gushed about this book for straight an hour after she finished it. I still haven’t touched it. But I do own book 2. So yup. Gonna binge it! Darkdawn by Jay Kristoff: The Nevernight Chronicles is my best fudging reads. So yup. I am ready to hand over my first baby. The Wicked King by Holly Black: The hype is real. The Red Scrolls of Magic by Cassandra Clare & Wesley Chu: MALEC!!!! I REPEAT WE ARE GETTING A MALEC BASED TRILOGY!! MY LIFU IS COMPLETEEEEEEEEE!!!! Chain of Gold by Cassandra Clare: I am a Cassandra Clare trash. Plain and simple. The Gods of Men by Barbara Kloss: I found out about this bool from Raven @ Dreamy Addictions and I am soooo excited for it! Descendant of the Crane by Joan He: Have you read the blurb? It sounds so freaking gorgeous and sorcerery!!! Wayward Son by Rainbow Rowell: *starts to sing Carry On My Wayward Song* Well… that was my instant reaction the moment I saw this cover. I adooored Carry On, so yep, I am definitely excited for this one. Aurora Rising by Jay Kristoff and Amie Kaufman: HAHA! TAKE MY SOUL PLEASE! Soooo guys, what were most memorable reads of 2018? Which books do you aim to finish this year? Any particular book/ series/ author you are looking forward to?? Review: Gemina & Obsidio by Amie Kaufman and Jay Kristoff // The ultimate recipe for space disaster and inter-galactic battle! The sci-fi saga that began with the breakout bestseller Illumina continues on board the Jump Station Heimdall, where two new characters will confront the next wave of the BeiTech assault. The Illuminae series was probably my most anticipated read for 2018 and I finally managed to complete that by 2018! This trilogy did not let me down and wow, it was such an explosive read. One of the facts that I loved about this trilogy is how the plot and characters interconnected with one another at the end. For me, I have always found it fascinating to see how the thread comes together at the end and this series does this quite accurately along with leaving a little hint of mystery at the end. Anyhooo, you can read my review of book 1, that is Illuminae here! In Gemina, we get to see the Hanna and Nik’s story. Their characters are literally polar opposites, the spoiled princess and well… the drug supplier? That sounds literally crazy if I just put it out like that that. LOL. Anyway, although Hanna seemed like a spoiled brat, she was a pretty badass chicka. Her ability for making awesomesauce strategies won me over in no seconds. Nik and Hanna’s constant banter was my favourite thing in this book apart from the visual-worthy action. 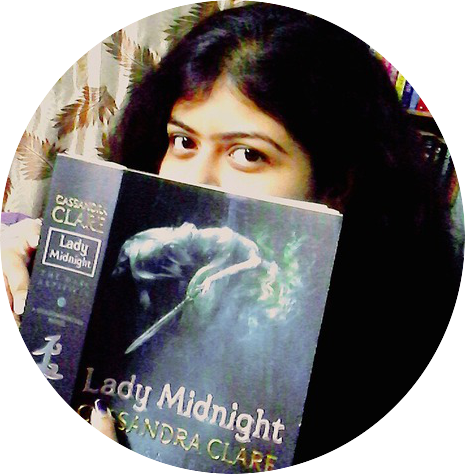 It was a continuous treat and it was so much fun to read… apart from the bloody mess which was most of the book. The action in this book is so well defined, we even get a few comic-like pages which were absolutely awesome. In Obsidio, we get the final showdown between our beloved characters and evilish BeiTech! On top of that, we get Asha!! Kady’s cousin! Yohooo. Although Asha’s character was my least favourite was she was humanly fierce and I admired her for that. She desperately wanted to save her baby mouse, and the rest of Kerenza, well whatever was left of it. BiTech people were really, really plain trash. I kinda wanted to see a more detailed punishment for them at the end. The ending did feel a bit rushed, however, I still thoroughly enjoyed it. Although there were some portions which scared the living hell out of me, at the same time, I couldn’t stop reading either! But when it comes to scary, AIDAN takes home the price ladies and gentlemen. With the advancement of technology, the possibility of such things actually coming true made the situation more horrific. AIDAN gave me the chills!! And what’s up with it being so obsessed with Kady? My goodness… The level of creepiness I had to deal in this book.. yet it was the best! Okay, the moment I thought AIDAN has redeemed itself, he just goes on a murder spree. Again. *sighs* Yet without AIDAN nothing would have been possible either. AIDAN is such a character you love to hate, similarly hate to love. Weird. I know. But that’s what AIDAN is. If you loved the formatting of the first book, I am damn sure you loved these two as well. One of the things I love about series is how the characters all unite in the last book. This book was no different, albeit the circumstances were pretty rare. Anyhooo, the characterisation and development of the plot throughout this series is pretty phenomenal. The fast pace and the storytelling were engaging and on-point throughout the whole series. I am definitely looking forward to the second trilogy of these authors together! I have a feeling it’s not going to let down as well! So, guys have you read the Illuminae series? How was your experience with it? If you haven’t picked it up yet, are you excited to read it? Share your thoughts with me! Okhaaay! The thing is, both the dramas I am about to review, I have watched quite a long ago. Not that long but uh… a bit long. Anyway, I adore both of these dramas sooo much and both of these were absolutely worth the hype according to me! When I get hooked to a drama, I am all in! It takes me about 1 to 2 weeks to decide what to watch next after finishing a drama, so yeah due to this, I rewatched Descendants of the Sun and right now, Love O2O, both of which I loved very much. (I think I would be over with Love O2O by the time this review is posted… LOL). Anyway, I divert… so onto this review! Cast: Park Min Young, Park Seo Joon, Pyo Ye Jin, Kang Hong Suk, Kang Ki Young etc. The series revolves around the narcissistic Lee Young Joon, the vice president of a company run by his family. He is very self-absorbed and thinks highly of himself, so much that he barely acknowledges the people around him. Lee Young Joon has a capable and patient secretary in Kim Mi So who has remained by his side and worked diligently for 9 years without any romantic involvement. However, Mi So now want to set her life & focus on herself so when she decides to resign from her job, hilarious misunderstandings ensue. After 9 years of their strictly-workplace relationship, can it now develop in something more? ~~ Adapted from the webtoon “Kimbiseoga Wae Geureolgga” by Jung Kyung Yoon. Kim Mi So (played by Park Min Young) and Lee Yeong Joon (played by Park Seo Joon) were the shining stars of this drama. Although some of the side characters definitely left an impressive impact as well. I don’t think this drama would have been that hilarious without the occasional missteps of these side characters. Lee Yeong Joon, a born narcissist is the president of his company where is assisted by Kim Mi So. Normally, he loves staying within his world but when Kim Mi So she wants to leave the company to find out her inner-self, Lee Yeong Joon becomes the epitome of a panicky-mush and that’s where the fun begins! The character of Lee Yeong Joon is so dramatic! I think it’s one of the very charms of this drama which keeps the audience thoroughly engaged. And Kim Mi So, my god, she was soooo hilarious! They were literally perfect for each other also since Kim Mi So was the only one capable of handling Lee Yeong Joon. In order to stop Kim Mi So from leaving, Lee Yeong Joon tries various methods to pursue her from leaving. From increasing her salary to even offering himself for marriage! XD As for the story process, we get to see the softy behind the narcissist exterior. I mean, he will always stay that but his character also has a sweet and genuine side. Definitely swoon-worthy! The signature style, i.e. Korean finger heart were such a treat to watch! Although they stay professional (well almost…) during their work but the chemistry between them is booming! (Booming? Do people even use that word in this context? XD). Although Kim Mi So understood that Lee Yeong Joon wanted him as his secretary but his genuine affection was not lost on her. It was a slow and gradual process where they fell head over heels for one another. SO KYOT I TELL YOU, PEOPLE! This drama was also incorporated a dark past which traumatised both the characters as a child. Both of them developed a phobia for certain things which they are finally able to face together. I loved how the past neatly tied with the present circumstances. Although I felt that this aspect was not as dramatic as I expected but it might be for the people present during that particular incident. The acting was indeed marvellous and I loved each and every character of this drama. I think almost every character in this drama was over-the-top dramatic but Bong Se Ra (Hwang Bo Ra) and Yang Cheol (Kang Hong Suk) were something else! Especially the slow-mo scenes between them. Their romance was absolutely hilarious but I was definitely rooting for them from the very start! Anyway, the drama ended on a beautiful note which definitely left a lasting impact on my mind and I really hope you guys give it a shot. Cast: Shin Hye Sun, Yang Se Jong, Ahn Hyo Seop, Ye Ji Won etc. Thirty but Seventeen is definitely one of the gems among K-drama land. It has a mixture of so many different emotions and is executed so beautifully. Although it was the plot and the trailer which made me interested in watching this drama in the first place but I also might just be a little biased (OKHAY, A LOT) towards Yang Se Jong ever since I watched Temperature of Love. This drama starts with Woo Seo Ri (played by Shin Hye Sun) waking up from a 13-year long coma to find herself in her thirties. A violin prodigy, she was left heartbroken and speechless, she starts a hopeless journey to find her uncle and aunt who were her only relatives after her parents passed away. Gong Woo Jin (played by Yang Se Jong) believes himself to be responsible for the accident which took the life of his first (unconfessed) love. Not knowing that she was still alive but in a coma, Gong Woo Jin secluded himself from the rest of the world. He became a mere shell of what he used to be. But when Woo Seo Ri turns up in her home, now owned by Gong Woo Jin and his cousin, Yoo Chan (Ahn Hyo Seop), fate collides and brings them together once more. Gong Woo Jin used to be the most lively person as a child but since that incident, he has not genuinely smiled, not even for once. His hostility towards Woo Seo Ri is crystal when she first comes to the house, it would have been impossible for her to stay without Yoo Chan’s support. However, her sense of familiarity with her home brings a calming atmosphere in the house of the two men where Gong Woo Jin finally starts to find some peace. I loved the slow-building romance between the characters and the chemistry was simply electric! He finally started to wear his emotions on his face again which he had long lost forgot. Woo Seo Ri’s optimistic self was so admirable, which was also one of the factors which made the two characters come together. My heart ached whenever Woo Seo Ri could not play her violin. It broke her heart to see someone else in the pace where she might have been if not for her incident. I was thrilled to see her not giving up on her dreams and keeping on practising to make her skills flawless as it used to be. Gong Woo Jin often froze when he was reminded of the past due to situation or two. If not for Woo Seo Riv, he never would have got the courage to step up. In a sense, they both helped each other to live again. The side characters in this drama were very cuuuuuuuuuute. Jennifer (Ye Ji Won) was essentially mysterious but handled the house like her own family. And I absolutely adoooored Yoo Chan, he was such a sweetheart. He behaved like a kid but when it came to making decisions, his maturity amazed me. I really wanted the past to be revealed much sooner so that Gong Woo Jin realised Woo Seo Ri was none other than her first love. There were multiple hints but oh dearie, who am I kidding, this is a drama after all. I wished the revelation was a bit sooner but I was still pretty happy how every threat was connected at the end. The acting was fantastic, especially of Shin Hye Sun who portrayed that even she was 30, her brain was still stuck at 17. Due to this, it made the drama bittersweet yet a heartwarming watch! So guys, have you watched these 2 dramas yet? What did you think about it? ANY RECOMMENDATIONS GUYS?? Review: To All the Boys I’ve Loved Before Series by Jenny Han // Fluffy, cute and mushy! Lara Jean is having the best senior year a girl could ever hope for. She is head over heels in love with her boyfriend, Peter; her dad’s finally getting remarried to their next-door neighbor, Ms. Rothschild; and Margot’s coming home for the summer just in time for the wedding. To All the Boys I’ve Loved Before trilogy is one of the most hyped up series out there and I think it was one of the reasons I was afraid to go into this series wholeheartedly. On top of that, I did not exactly enjoy the first book of the Summer trilogy and hence my reluctance. I also think that I have kinda grown out of young-adult contemporary as I don’t find it relatable anymore. However, when the movie released and the hype re-started, I knew had to pick it up! And I am glad I did. This series was such an adorable and fluffy read!! The plot of this book was whole-heartedly character-centric which paved the whole path of the novel. One of the most ground fact of this trilogy was the character-growth which we got to see as the novels proceeded. Of course, there was teenage angst and drama but it was pretty realistic which made me fall in love with the characters. This series had all the classic cliches, the mean ex-girlfriend, a soccer-team main lead and a geeky best friend. The thing is although this series had its ups and downs, it played the cliches perfectly to get the right combination of drama along with swoon-worthy romance. Apart from Peter and Lara Jean who dominated the series, the Song family, Josh as well as John Ambrose McClaren (This guy!!!! I loved him to bits!). The first book follows all the letters of Lara Jean getting busted which leads up to making a pact with Peter to avoid the necessary embarrassment. Lara Jean takes this step, especially to avoid Josh who she has been in love with since forever, who also happens to be her elder sister’s recent ex-boyfriend. Josh is a character whom I liked in the beginning but he kinda faded away and completely disappeared in the 3rd book. I knew he had college and stuff and it kinda felt like Lara Jean and Josh’s so many years of relationship vanished, just like that (I wanted closure *sniffs*). Anyhooo, Peter and Lara Jean along with their romance grew to something so much bigger. Their fake relationship grew into something real without their knowledge which made things complicated. However, it was also the one thing to root for in this series! Lara Jean… ah! Our main protagonist was so effing relatable! Of course, there were times I disagreed with her but most of the times but I couldn’t help but fall for her. Yes, she was a bit judgemental and anxious almost all the time, however, these flaws were the characteristics that made her, her. Although I won’t say this series had the best character-development Lara Jean seriously had some major transformation. She went from the shy girl to voicing out her words. Most importantly, I genuinely admired how she took the decision while choosing school even is she had to do long-distance! Hello! Dang! This book has it all! The Song girls are half Korean making them a biracial family. There were some unforgettable moments in the book, especially of Korean cuisine which I sooo wanted to try! And I was pretty green with envy with the mention of their visits to Seoul. Can they please, like, take me too? The family dynamics was one of the best aspects of this trilogy. The Song girls had lost their mother as a kid but Margot, Lara Jean and Kitty have been thick as thieves. They have always tried their best to maintain a beautiful relationship with their dad which I loved so much. The family focus of this series was not at all overbearing but equally balanced with the romance and drama. Although Lara Jean was the protagonist of To All the Boys I’ve Loved Before trilogy, Margot and Kitty played quite a vital role. I sometimes felt like Margot who was the elder sister was a stuck-up. But when I thought of myself in her shoes, I could understand where all the hesitancy and her strictness was coming from. Lara Jean was the middle one while Kitty was the smol bean. However, Kitty was quite mature for her age and there would not have been “books” if not for her (If you know what I mean… XD) And their father was such a sweetheart! He had such a wonderful relationship with his Song girls and they were his first priority! Ah! The romance of Lara Jean and Peter Kavinsky was epic! Actually, it was pretty simple yet unique due to which this series was such an engaging read. Peter had an on and off relationship with Gen who also used to be Lara Jean’s best friend once upon a time. However, this on and off thing paves the way for Peter towards Lara Jean. I loved how their relationship evolved. It was so cheesy yet so cuteeeeeeee! Oh my goodness, it was really so sweet I thought I was going to have diabetes! We also had the classic love triangle which I actually enjoyed! (I know right? Me? I enjoyed a love-triangle! XD) John Ambrose McClaren was so precious. I definitely fell for the 2nd lead and there were times I thought he was the perfect one for Lara Jean. Although I was all in for Peter, John Ambrose McClaren definitely gave a tough competition. Peter, on the other hand, was a jokester and kinda tried to maintain a strong facade, however, he was a complete softy. He was so effing cute. My god! He and Lara Jean were the complete opposites, however, somehow they were the perfect fit. This trilogy was a fluffy and fun read. I enjoyed it thoroughly and although a few parts might have slowed me down but I was glad I was able to binge read this trilogy. It made me realise how much, book binging is fun! The writing was simple yet maintained an uninterrupted flow and the pace was mostly steady throughout the series. Apart from these, I also loved the fact, how this book ended with a positive note while hinting towards the many more adventures of the future. So guys, what did you think about this trilogy? Have you read it yet? What is your favourite book in the series? It’s a new year! A new beginning and a fresh start. It’s been a long time. How have you guys been? I have been absent for quite some time now but this year I plan to bring a fresh ton of content! Okay, I might be not as regular as I used to but I am officially back. I already have quite a few posts written and I am really glad to have my blogging days back. 2018 was a mixed year for me. On the positive, I made and met a lot of friends (mostly BTS A.R.M.Y! ), started working, found positivity again. On the downhill, things got a bit rough at work. Nothing I could not handle but the mental toll was too much. So after changing office, I feel like I have a fresh start again and I am enjoying working as a content writer. Also, I only read 35 books which is a bummer but I discovered quite a few gems among them. According to Goodreads, my shortest book was Iron to Iron by Ryan Graudin of 104 pages which was a novella while the longest book was Gemina by Jay Kristoff and Amie Kaufman of 659 pages! Yohoo!! I finally completed The Illuminae series which was definitely one of the best reads for me this year! I definitely plan to read more this year as well as write and maintain consistency on my blog. Apart from this, I don’t have any particular resolutions apart from staying positive and spreading that positivity everywhere! So guys, what about you? Any resolutions for this year? What is the best book you have read in 2018 and what are your most anticipated for 2019?? I’m Poulami behind this little bookish blog. It’s obvious that I looove books and daydreaming about it, so join me in my bookish adventures! 32,632 awsome bookish people flew by! Enter your email address to follow this blog and awsome stuff by email.